The incident happened Sunday during a tank commander’s course in the Negev Desert, about 46 miles north of the resort city of Eilat, the Times of Israel reported. The bizarre episode rounded off a week of field exercises. According to Haaretz, the tank crew’s commander had gotten out of the tank to go to the bathroom and when he came back 20 minutes later, he found the tank was missing. Arutz Sheva noted that all other precautions had been taken, including locking the tank’s turret into position. BTW, the Muslim Brotherhood became ally to the Nazis through their leaders : Amin al-Husseini (Arafat’s uncle) was the Arab speaker on the Nazi radio for the Mid-East and was lieutnant-general in the Waffen-SS while Hassan al-Bana (MB founder) translated ‘Mein Kampf’ in Arab, although he forgot to translate Hitle’s thought about Arabs. Had Amin al-Husseini project to build an Auschwitz replica in Jewish-Palestine happened, hadn’t Nazis failed in El-Alamein, Jews would have been first in, the Arabs would have followed them in gas-chambers! Whoops! 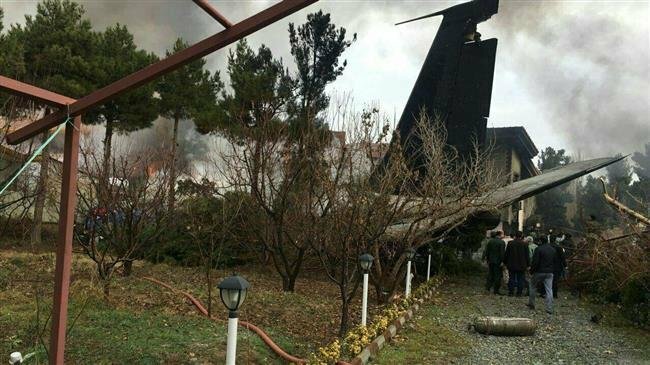 Iran Air-Force B707-320C (5-8312, EP-CPP, built 1976) crashed into houses in Karaj when landing at nearby Fath Airport, it overran the end of the runway due to fog. 15 dead onboard… Casualties on the ground weren’t communicated.